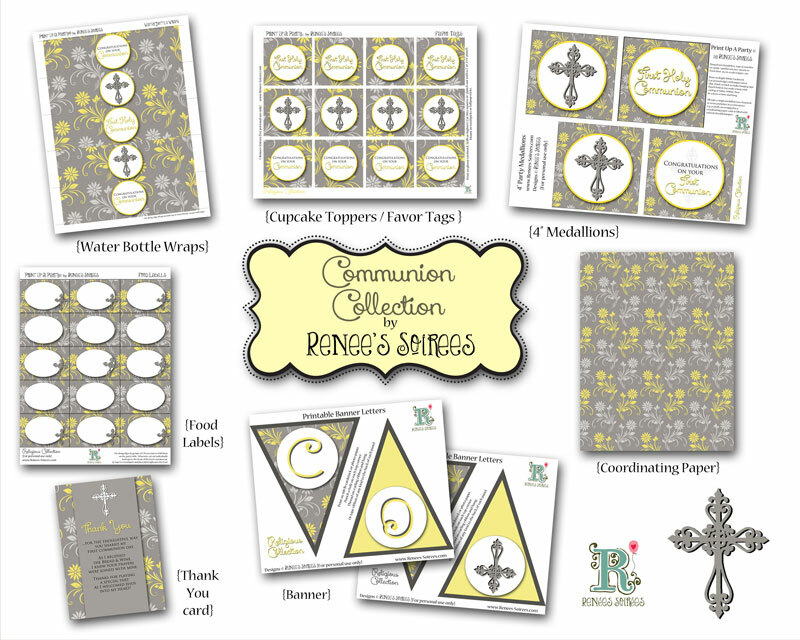 If you have a loved one going through a First Communion, Confirmation, Christening or Baptism, then I hope you will love this Religious Collection I created. 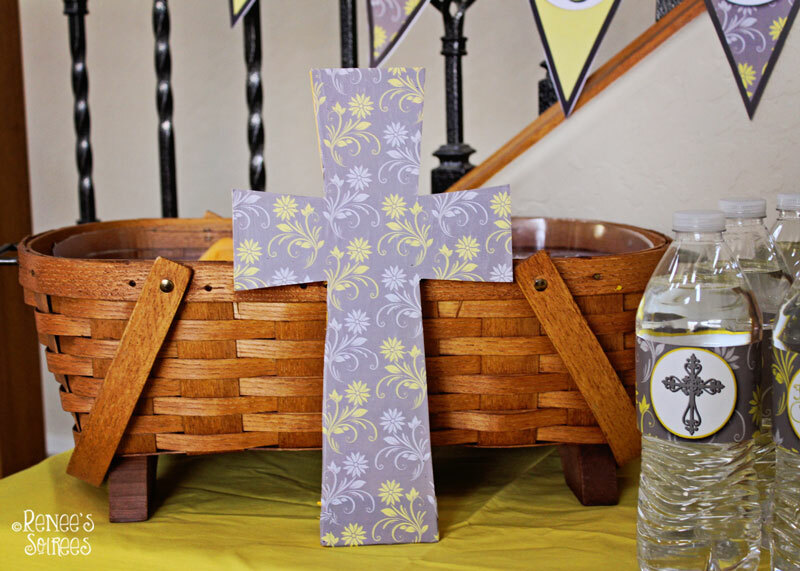 It is an elegant grey and yellow pattern, and it works for boys and girls, and for kids or adults. 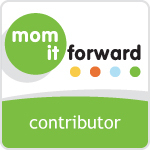 It is available for Instant Download, or it can be customized and emailed to you. 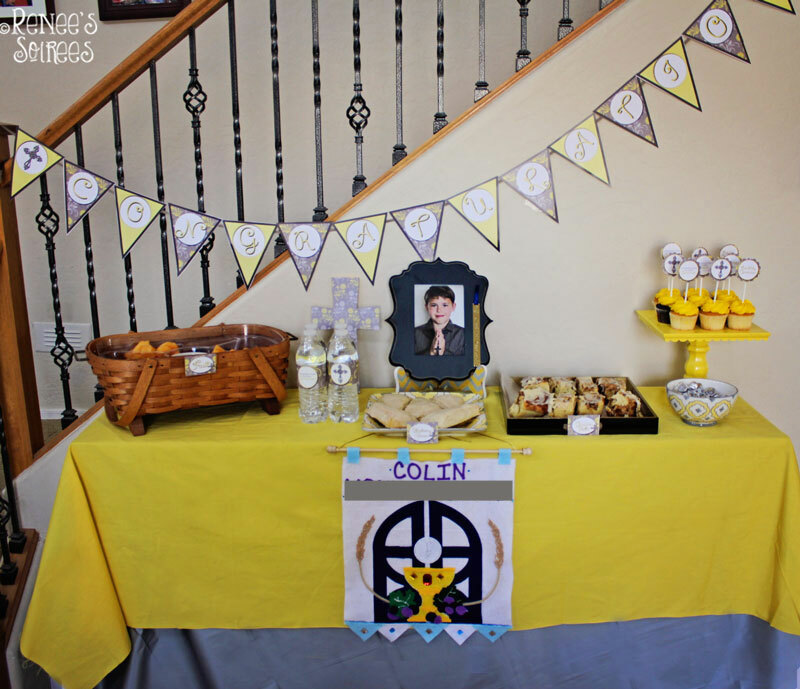 This is the table I set up, using the “Congratulations” banner from the Religious Collection, and the banner he made for his Confirmation. 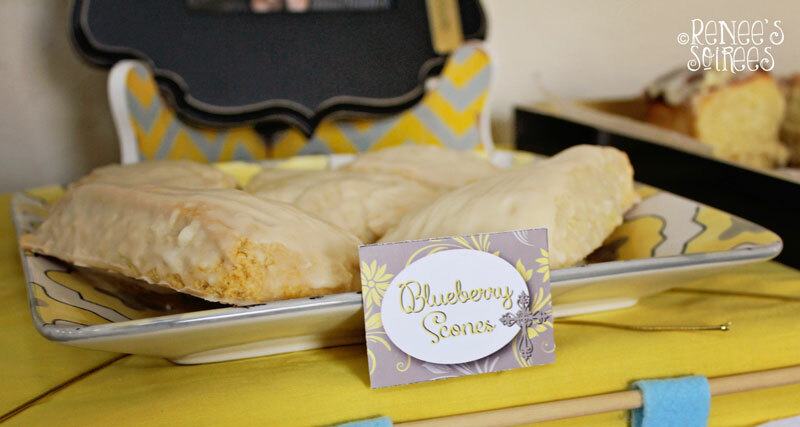 I included some homemade scones and cinnamon rolls, as well as some fruits and veggies. As a table centerpiece, I took a photo of my son holding a rosary, and put it in a black wooden frame from Michael’s Crafts. He was given a bookmark by his confirmation teacher as a gift, so I hung it on the frame at the party. I cut them out with a 2 1/4″ scallop puncher that can be found in craft stores, or here on Amazon. 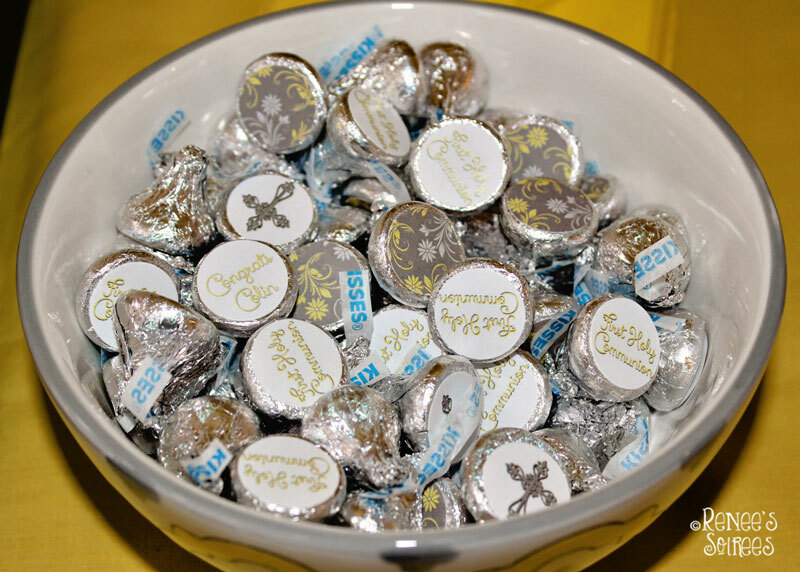 I also included some matching decorated Hershey’s Kisses on the buffet table. These are not part of the collection above because they have to be physically mailed to you. They can be found here for 200, or here for 300 of them. (Notice that some of these are personalized. You have the option of personalized stickers, or you can choose standard greeting stickers for a lower price). 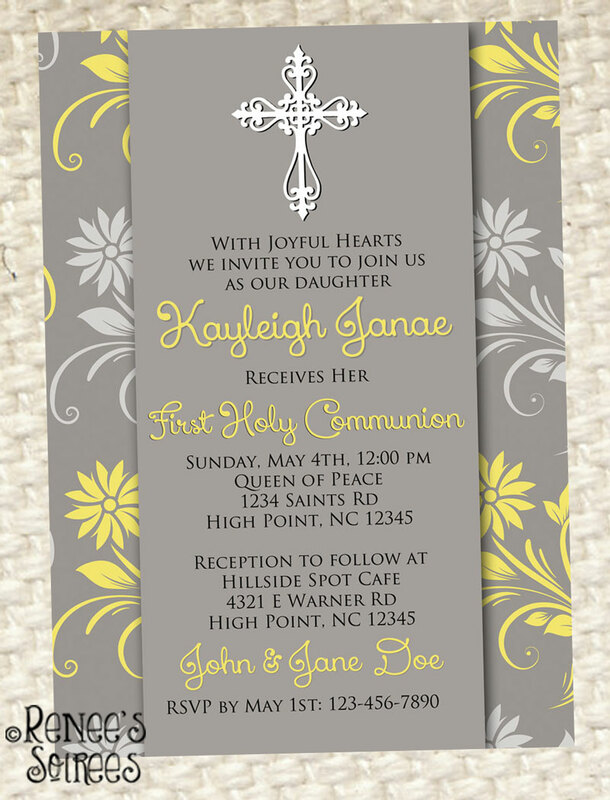 Here is the matching invitation, which is available here. 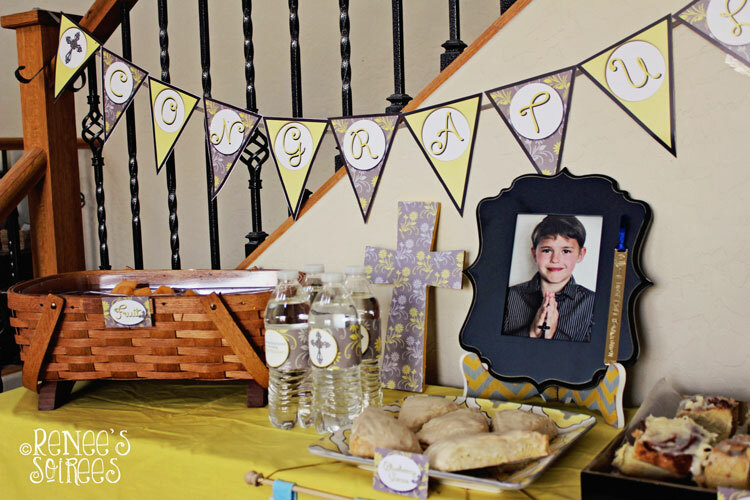 I hope you enjoyed a peek at my First Communion party! Hi Renee love the selection for the Communion party. 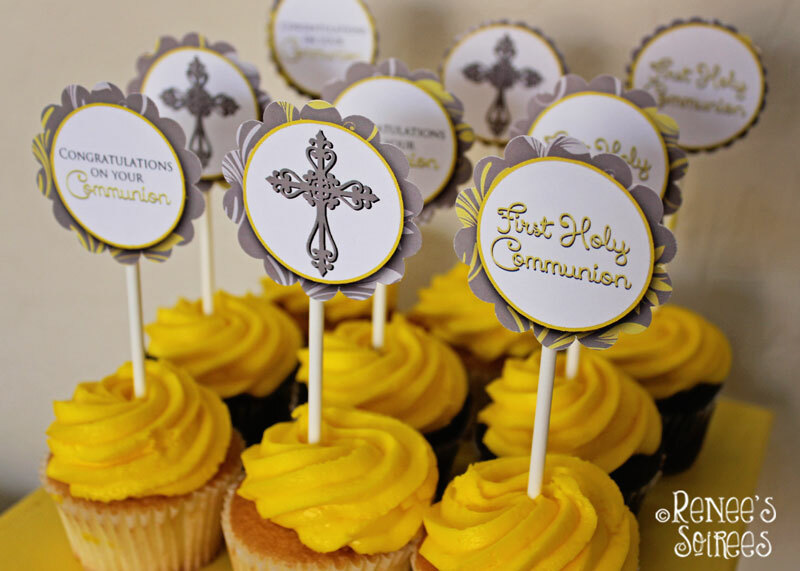 My eldest son is making his Confirmation soon and I was wondering if it would be possible to change the colour from yellow to blue and from Communion to Confirmation. Email me at Renees.Soirees@gmail.com with the details.